DJ Console Mk4, MIDI Control Surface for DJ from Hercules. At the Musikmesse European trade fair in Frankfurt, Hercules announced the release date and retail price of its new Hercules DJ Console Mk4. 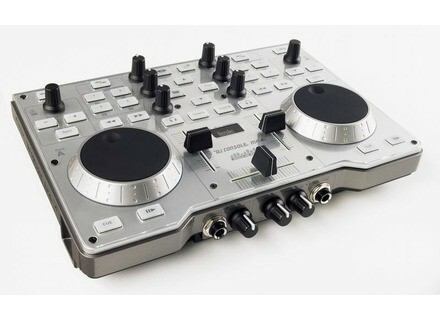 This 2-deck portable DJ controller, featuring built-in audio, will be available in June 2010, at a suggested retail price of $199.99. 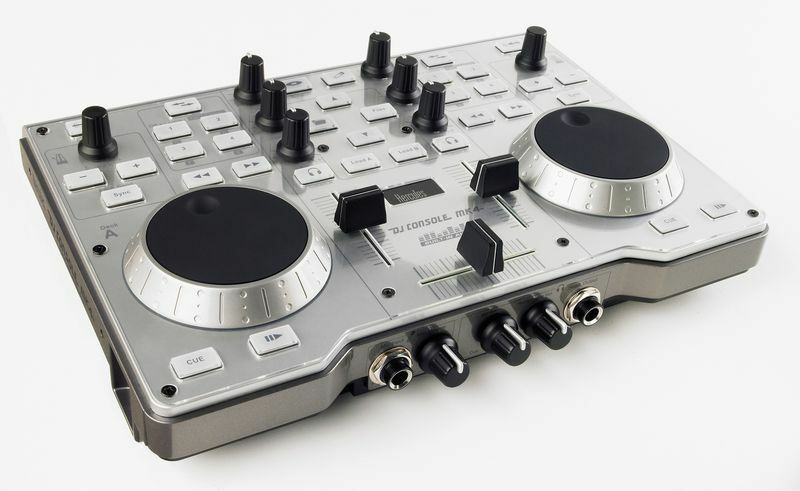 The Hercules DJ Console Mk4 is a 2-deck DJ controller with built-in audio for PC and Mac: 26.5 x 18.7cm in size (10.4” x 7.3”) and weighing in at 1.15kg (3.3lb). In addition to its 2 stereo outputs (one for mixing, the other for previewing tracks), the Hercules DJ Console Mk4 also features 2 stereo audio inputs to connect any analog audio sources. PC: 1.5GHz processor or higher, 1GB of RAM, Windows 7 / XP / Vista (32/64-bit), USB port, stereo speakers and/or headphones. Mac: 1.5GHz processor or higher, 1GB of RAM, Mac OS 10.4 / 10.5 / 10.6, USB port, stereo speakers and/or headphones. You can check out the Hercules DJing range at www.hercules.com. To see the new Hercules DJ Console Mk4 for yourself, visit the Hercules/Hyperactive booth C44 (Hall 5.1) at Musikmesse in Frankfurt, Germany, from March 24-28, 2010. [Musikmesse] Pioneer CDJ-350 CD Player Along with the Pioneer DJM-350, the Pioneer CDJ-350 CD Player is designed to bring some specialties of the Club Standard products to the entry level DJ. Pioneer Updates rekordbox Firmware Pioneer released a new version of their rekordbox music management, which enables DJs to connect their laptops directly to the CDJ-2000 and CDJ-900 decks.